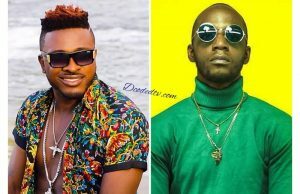 Cameroonian singer, Magasco is no longer signed to Empire Company record label. In fact, he already has a new record label called BBoy Records, singer confirms. The ‘Sokoto’ hit maker has confirmed he’s no longer with Pit Baccardi‘s Empire Company label. In a recent Facebook post, January 18, Magasco announced he has left the label after a five year contract. 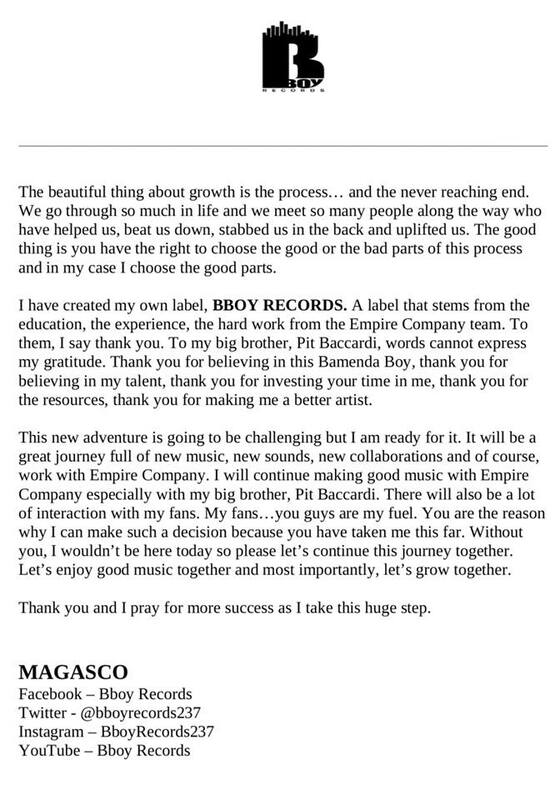 Magasco has gone ahead to create his own label, BBoy Records where he says he will be running, using the knowledge and experiences he has gathered over the years of his music career. 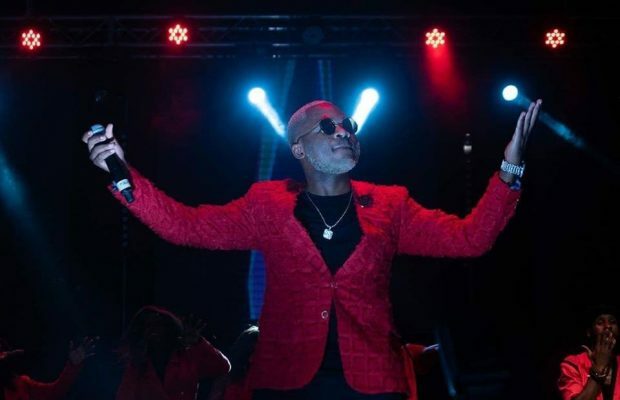 This announcement comes less than a month after his major ‘Golden Show‘ concert at the Palais Des Sport in Yaounde (December 22). Magasco joined Empire Company in 2014 two years after leaving his former label, Mumak Records alongside Jovi Le Montre, Sine and Jules Nya. 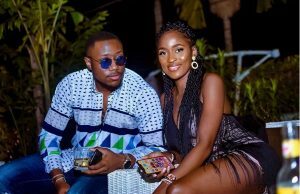 The singer later joined his dear friend and music producer, Sangtum (DJ Pazzo) to produce couple of songs before he landed a 5-year contract with Empire in 2014. In his press statement, the famous singer thanked his former boss, Pit Baccardi for believing in him when no one did and also trusting and investing on his talent when he had nowhere to go. He even called him his brother adding that he will continue to make good music with Pit and Empire Company. The singer acknowledged the challenges that would come ahead of him due to this drastic change but he also assures his fans that there will be new music, new sound and new collaborations. He shared his love towards the fans revealing they are the reason he could make such a decision and he trusts in their love and support of his career. Magasco isn’t the first act to leave Empire Company in the last two years. Popular music group, X-Maleya also left the label in 2015 and two years later, rapper Nami Nami Cyrus was kicked out of the label. Another singer who took the exit door was Duc Z and he didn’t see so much independent success after that. Music group, Rhythmz and female singer Mimie are the music acts still signed under the label. We are wishing Magasco all the best in this new music journey.